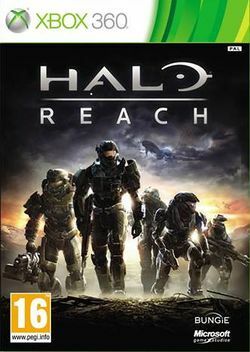 Halo: Reach is set before the previous game (Halo 3). It is the final game in the series to have been developed by Bungie. It was released on the 14th of September, 2010. Set on the planet Reach, it follows the story of SPARTAN-B312, a new member to Noble Team, a group of Spartans. The time of the game's events is around the Covenant's destruction of Reach (called the Fall of Reach). This page was last edited on 25 September 2015, at 18:32.